Tennessee volleyball (13-4, 4-1 SEC) kept its SEC win streak alive with a victory over Alabama (13-5, 1-4 SEC) on Wednesday. Attack efficiency was once again a strength for Tennessee, as the Lady Vols posted 63 kills on 170 attacks, while Alabama only had 44 kills on 172 attacks. The Lady Vols can thank their defense for its efforts, as Tennessee finished with 10 more digs than Alabama, as well as 4 more blocks. Tennessee led Alabama in digs and kills early in the first set, but Alabama’s communication kept the Crimson Tide alive against the Lady Vols’ offensive surge. The early lead that Tennessee developed could not be overcome by Alabama, though, as a kill by freshman Lily Felts secured the first set, a 25-21 victory for the Lady Vols. Whatever adjustments Alabama made between sets did nothing to stymie the Tennessee attack, as the Lady Vols were quickly up 10-2 in the second set. Alabama’s communication began to break down, and the Crimson Tide defense looked helpless against a thriving Tennessee offense that continued to pile on points. Successive kills by Alyssa Andreno and Erica Treiber brought the short second period to a close, with Tennessee taking the set 25-14. With Tennessee up 2 sets to 0, the match seemed to be coming to a close in a hurry entering the third set. The Crimson Tide found new life in the third set, sticking with Lady Vols early before building a five point lead off four Tennessee errors to go up 14-9. The string of errors turned out to be little more than a speedbump for the otherwise high-octane Tennessee offense, and Tennessee clawed its way back to tie the set at 17-17. Another speedbump was on its way for the Lady Vols, but this time the Alabama offense needed little help from Tennessee errors to score points. Alabama earned four of its final five points of the set from kills to win the third set 25-21. Alabama looked to have found a counter to the Tennessee attack heading into the fourth set, but Tennessee was unfazed by the Alabama comeback. Tennessee led for most of the set before a powerful spike by Raquel Perinar won the fourth and final set four Tennessee 25-20, thus giving Tennessee its third straight home win by a final score of 3-1. The matchup between the talented Perinar sisters did not disappoint. Tennessee’s Raquel Perinar racked up 14 kills, 5 digs, and 5 blocks, while Alabama’s Ginger Perinar earned 16 kills, 3 digs and 3 blocks. Raquel’s game-winning kill was a very fitting end to a successful, competitive outing by both sisters. 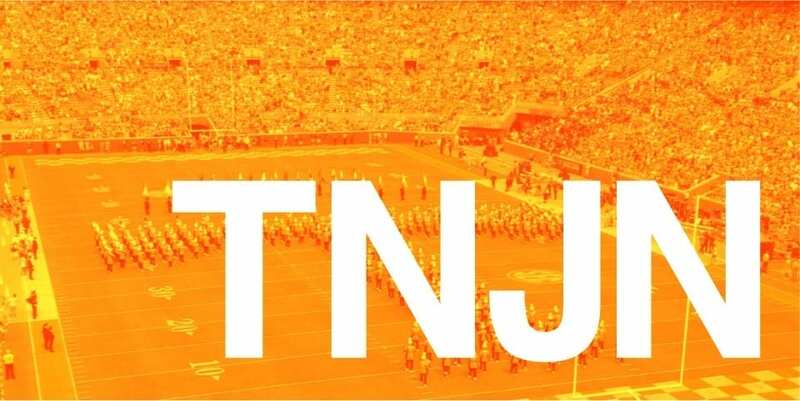 Leading the Tennessee offense alongside Raquel Perinar, Lily Felts and Erica Treiber once again fulfilled their roles as key pieces on this Tennesssee team. The two Lady Vols led their team with 16 kills each, while Treiber earned 6 blocks and Felts made 12 digs. Tennessee has benefitted significantly from its incoming freshman class, and particularly from the offensive prowess that freshmen Felts and Perinar have demonstrated. Both players were outstanding again on Wednesday, with 30 kills and 17 digs between the two. Rackham attributes this success by her freshmen players to the fact that they “work really hard” and “come from good programs.” With these freshmen already contributing a great deal to the team, Tennessee’s future is bright for the remainder of the year, but if Tennessee can continue to recruit hard working, developed players, then the team should have success for years to come. Tennessee has now won three straight SEC games since losing its first SEC matchup of the season against Kentucky, and the Lady Volunteers seem to only be gaining strength through each game. Tennessee matches up against Mississippi State next in Knoxville on Sunday, Oct. 7 at 1:30 p.m.
Next Brett Kavanaugh is a Supreme Court Justice. Now What?